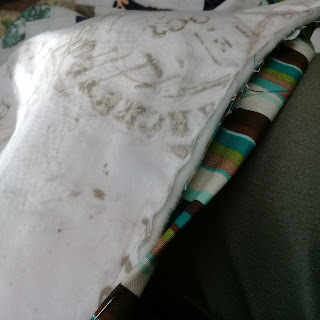 Sometimes it's about jumping in and holding on until the end! 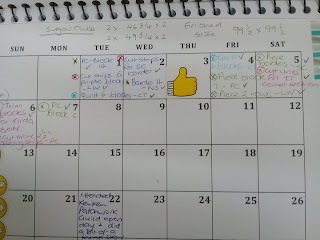 Whether it is technically on your list or not! 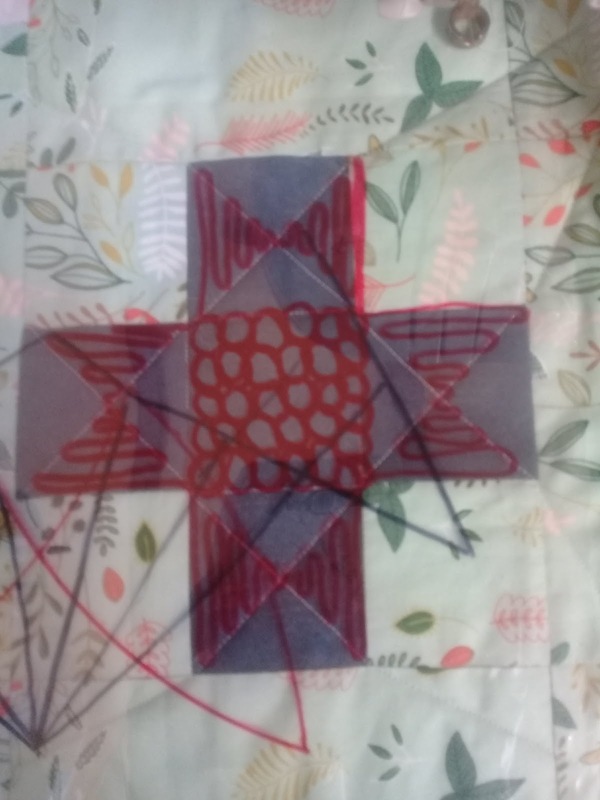 Finishing the ruler work FMQ on the Cross Tile quilt, I had a quick audition of a couple of free hand designs using some lightweight clear plastic to try out some fillers emphasising the Ohio star outlines. 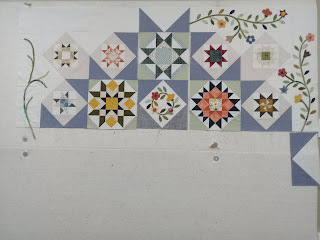 Which morphed into a wishbone sort of pattern in the points and stipple in the centre square. 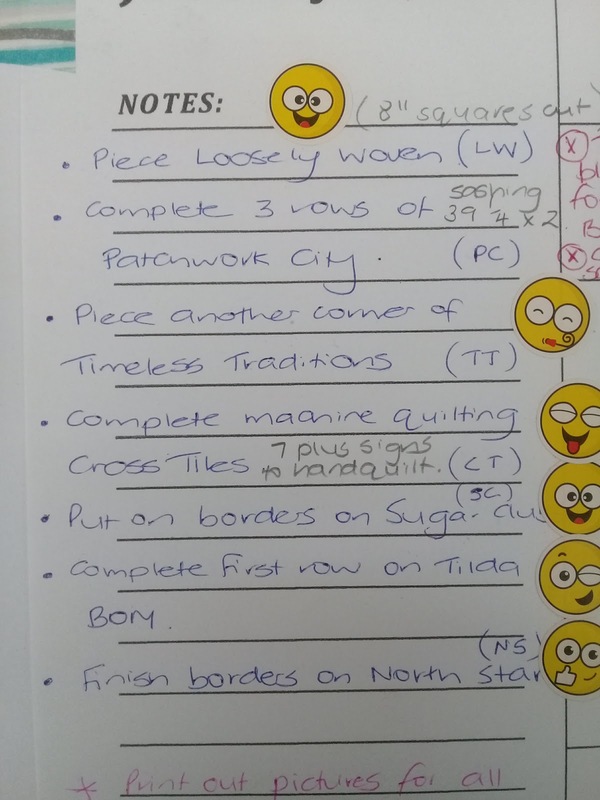 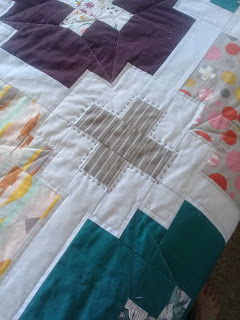 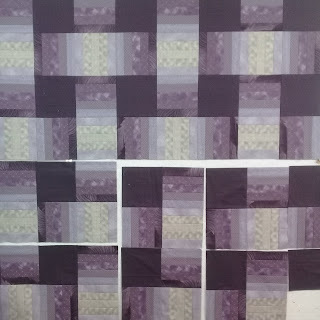 Similarly to the straight lines quilted, this could be achieved with just the one start and stop. 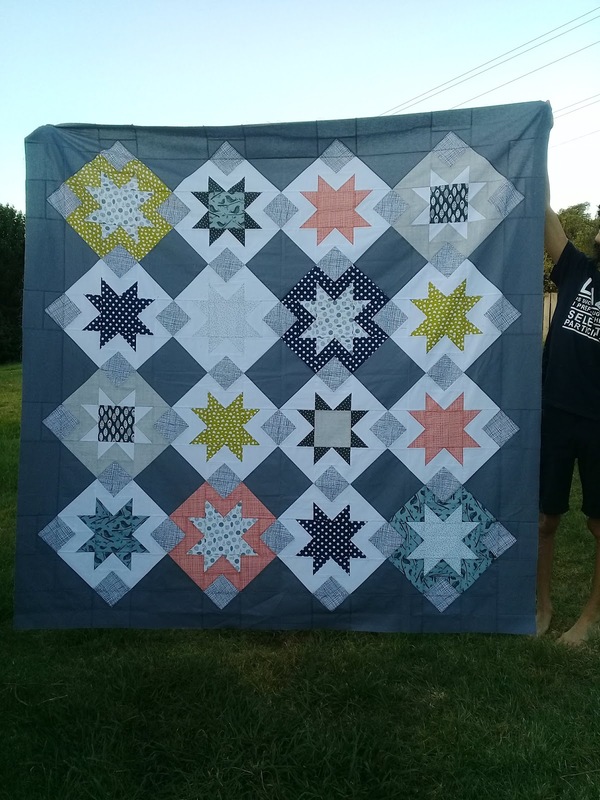 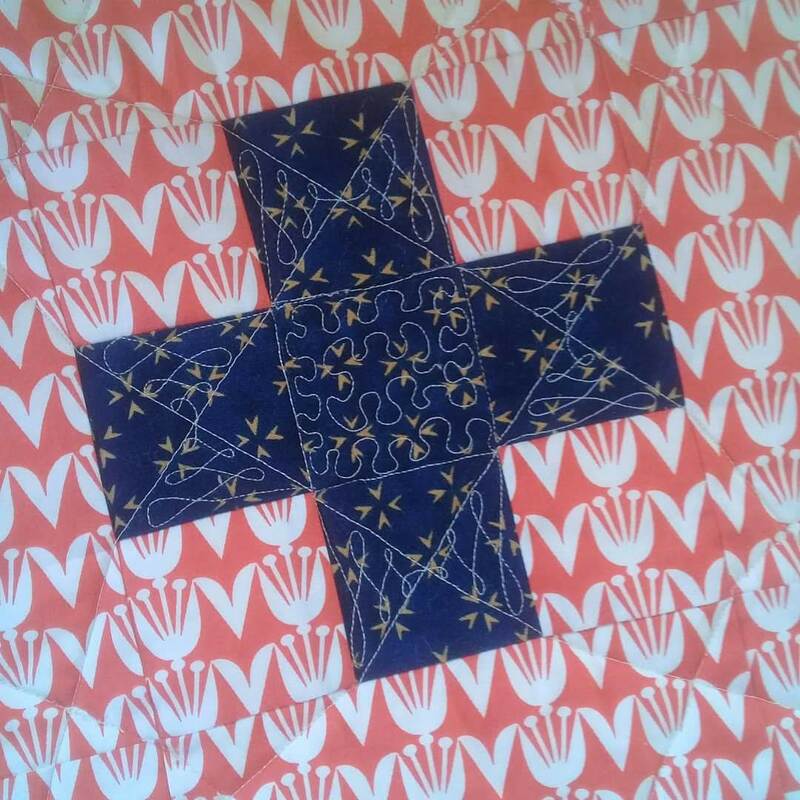 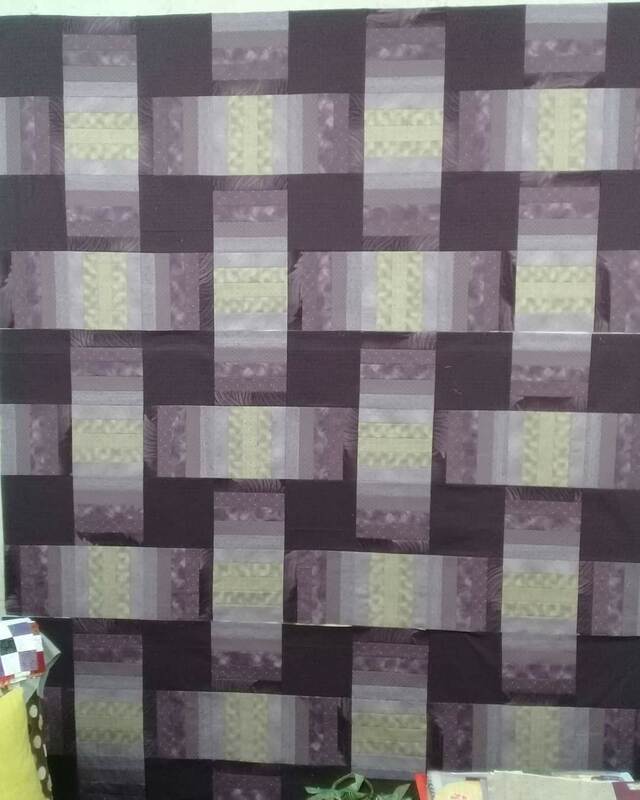 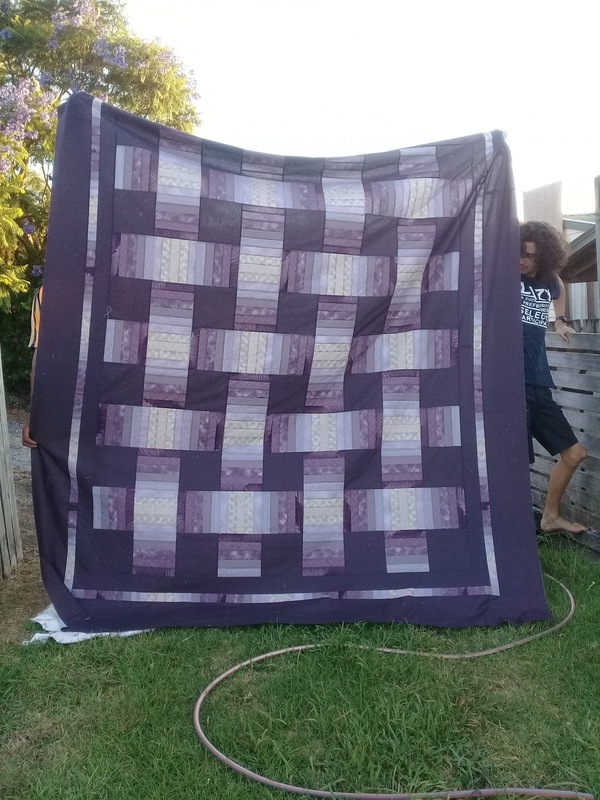 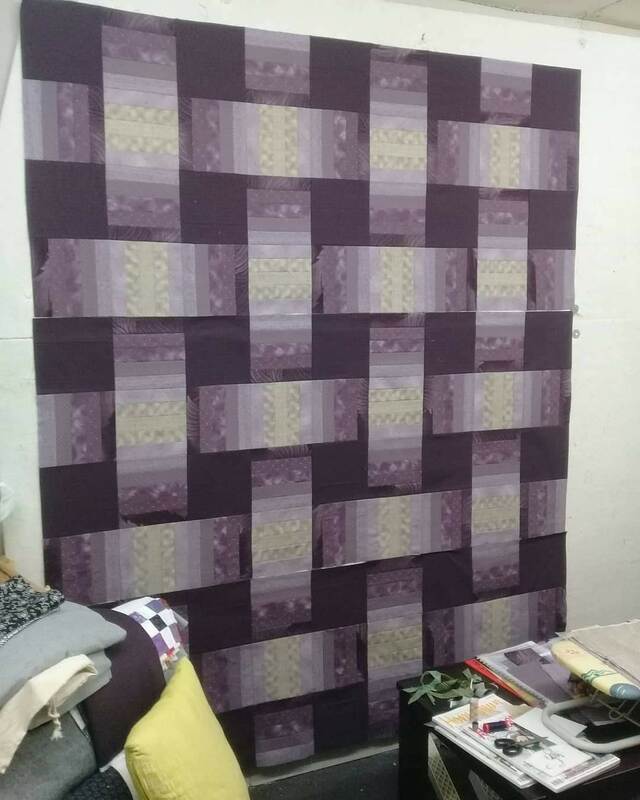 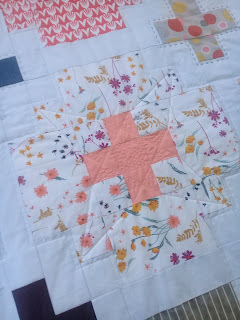 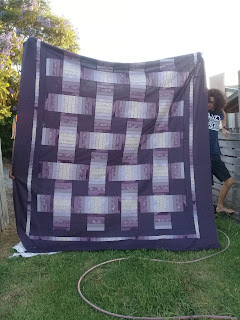 This one shows the mix of quilting techniques used! 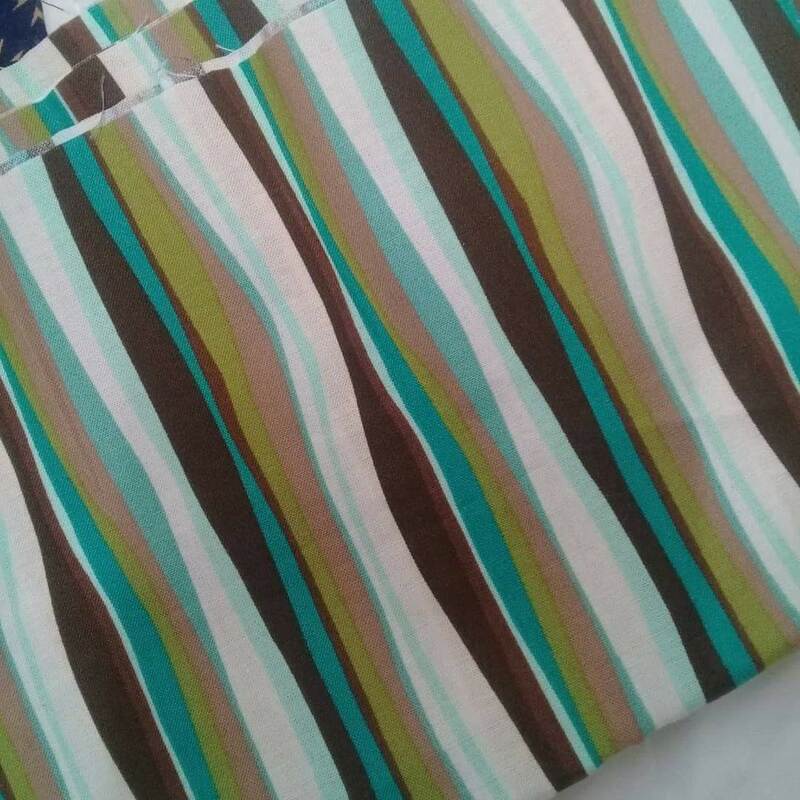 It was also relatively quick so I was keen to keep the momentum flowing and chose this uneven organic stripe for binding out of my stash. 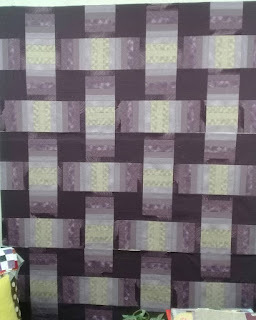 Although the colours are not exact... they are close enough considering there is a plain border between the outer blocks and the binding. 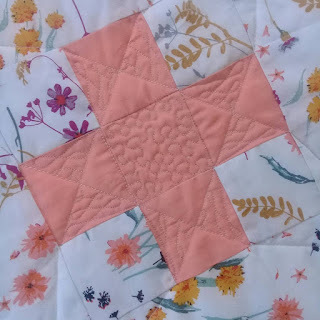 Before I could change my mind... 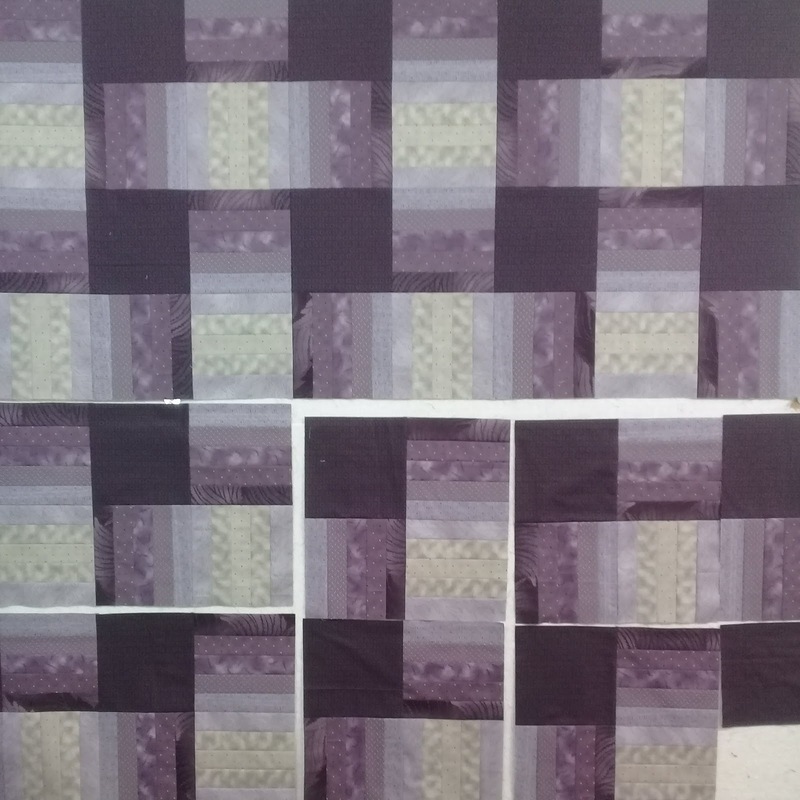 I got the 9 strips cut, sewn and pressed ready to machine stitch. 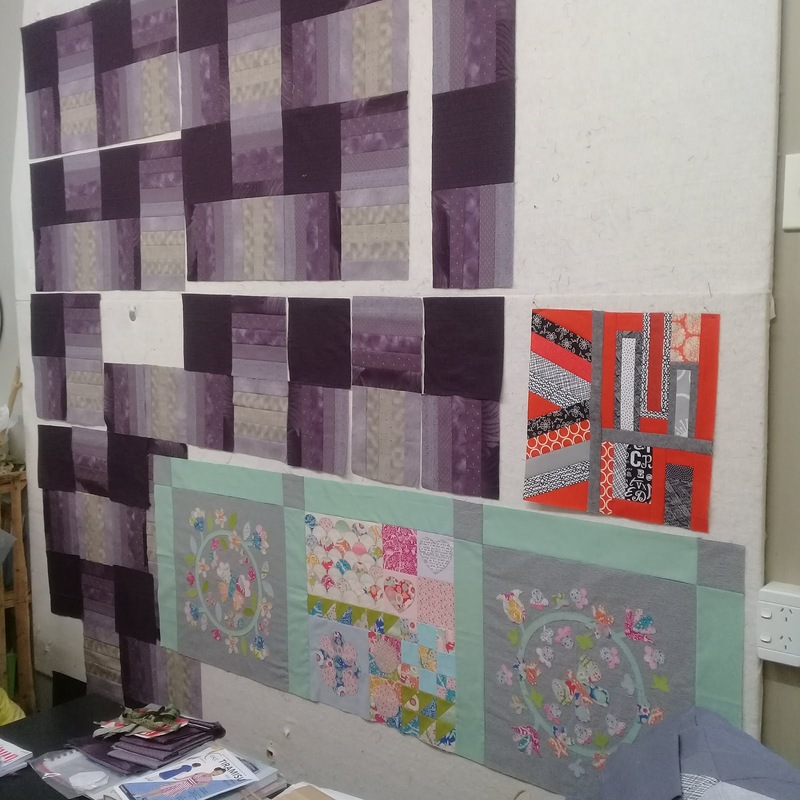 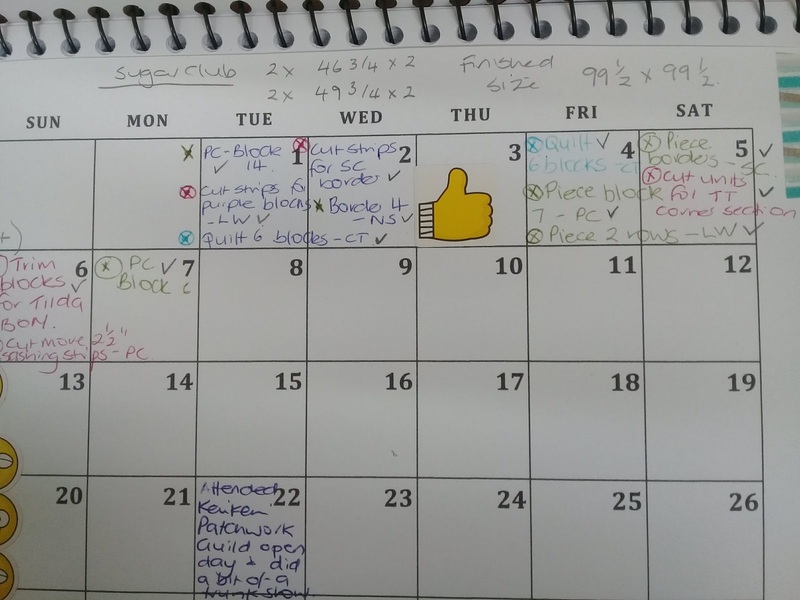 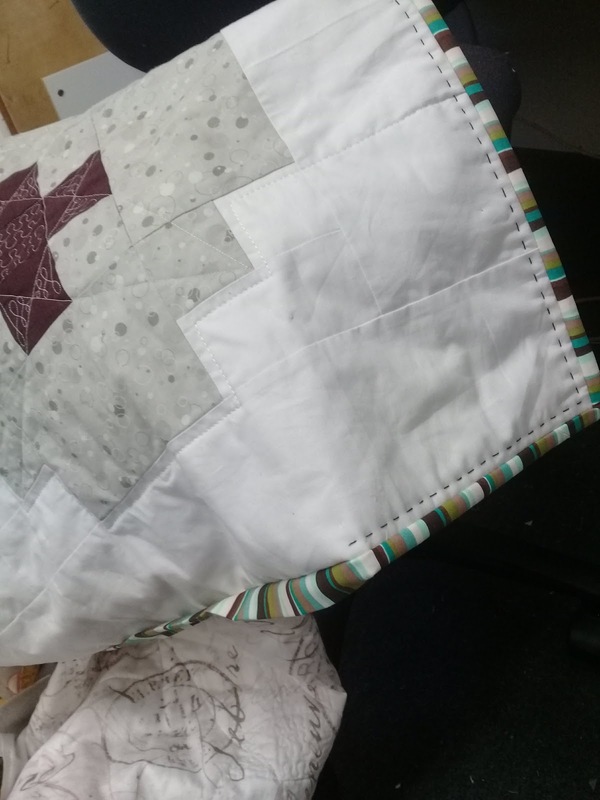 Ideally I would have done the whole pieced binding/flange/machine applied binding... but there were too many other roadblocks. 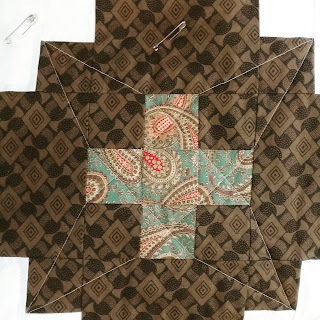 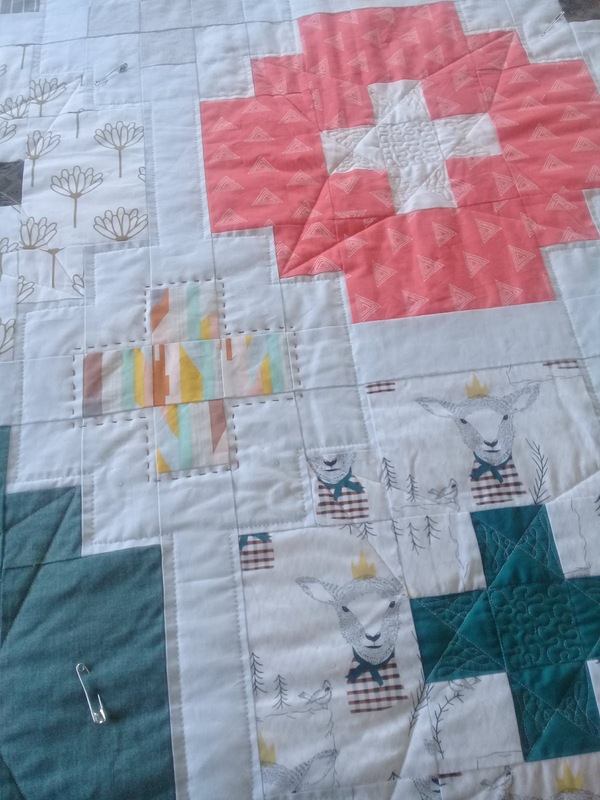 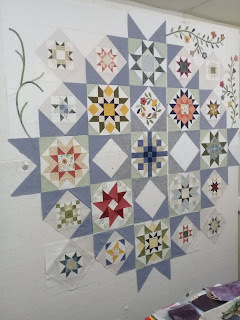 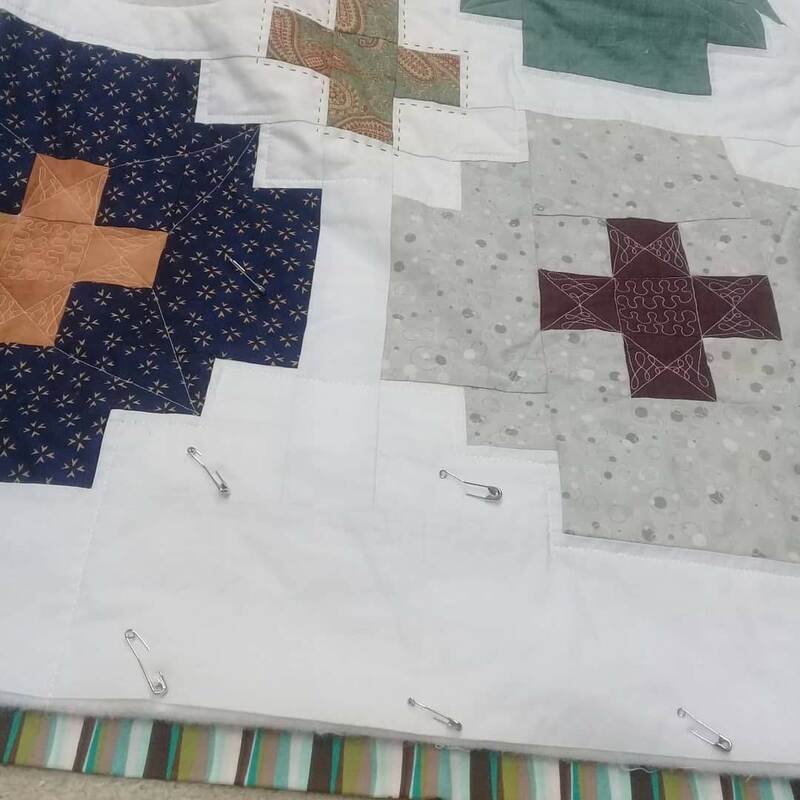 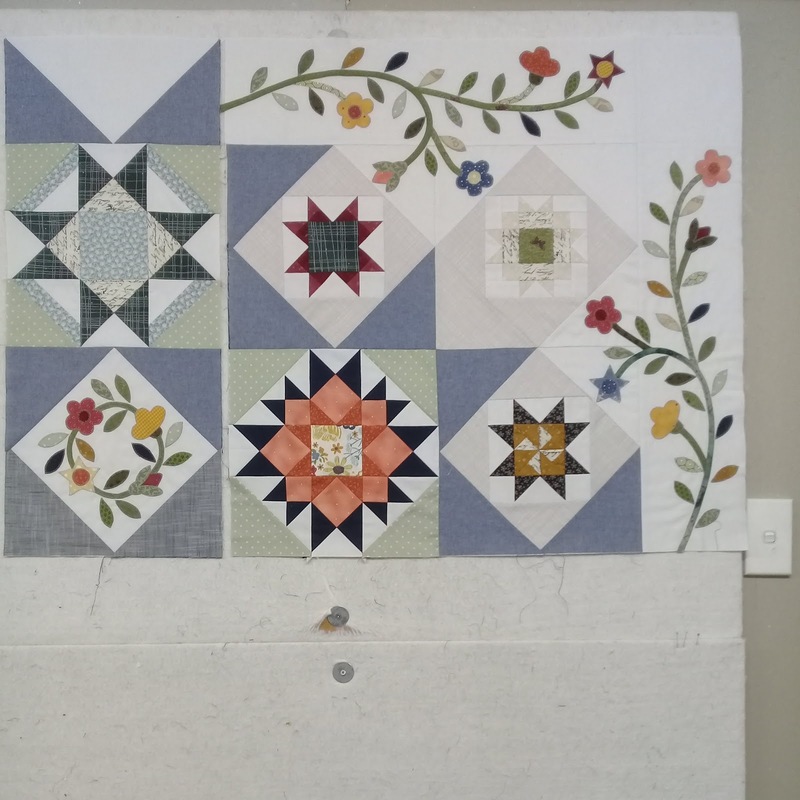 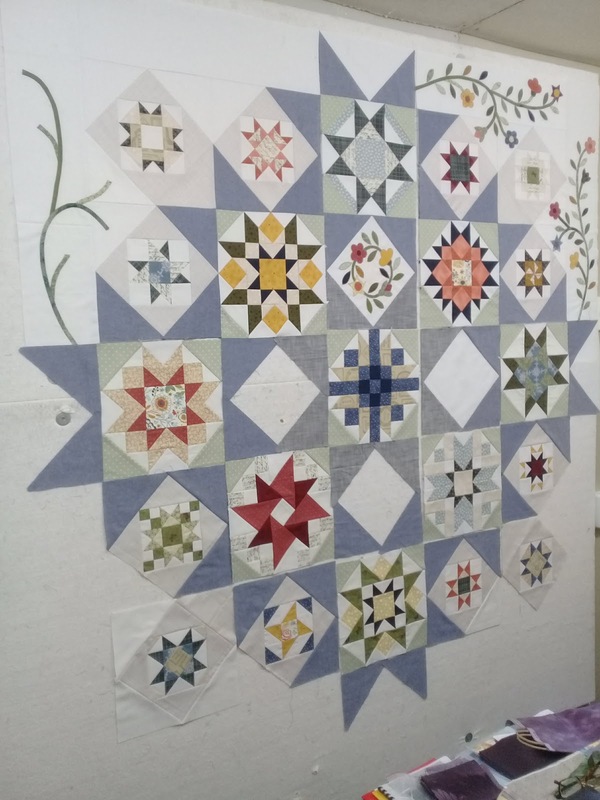 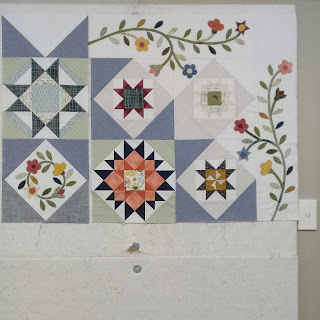 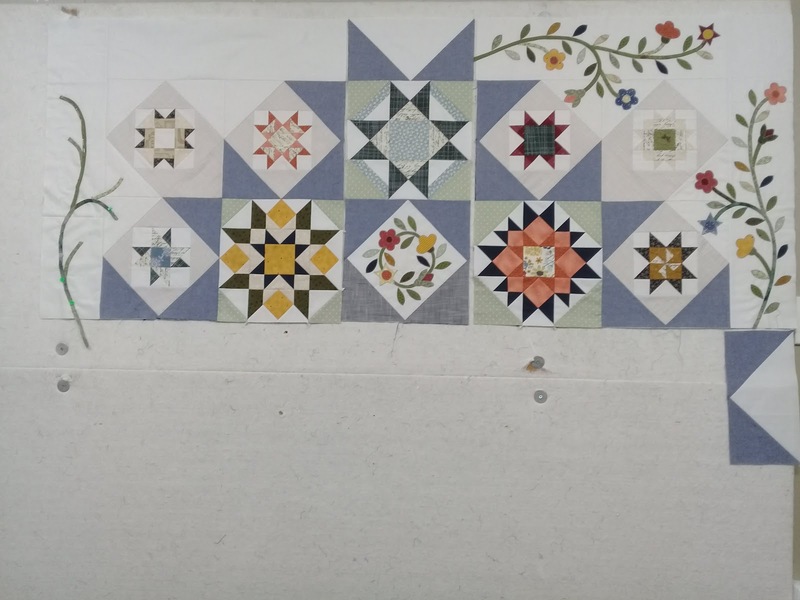 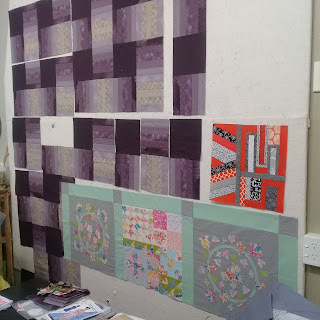 I would have needed to clear my floor of the other two quilts already laying on it to trim the quilt edges so the binding could get sewn onto the back. Not happening! 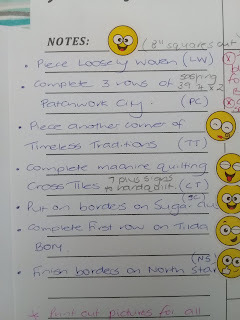 (Regular binding I attach to an untrimmed quilt). 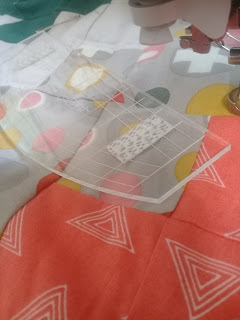 And, I would have needed to find two fabrics suitable for each component of the binding... and that didn't seem to be happening either! So a regular binding it was going to be. 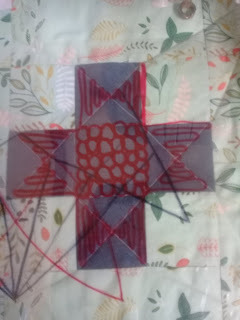 And, I've started hand stitching the binding to the back and adding a touch of big stitch quilting roughly 1/4" from the binding.